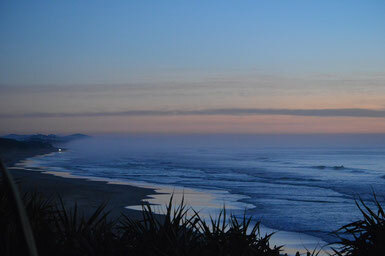 Coolum offers the perfect beachside holiday. With world class beaches, secluded bays, scenic lookouts and a relaxed holiday vibe, it's no wonder it has long been a popular spot with visitors and locals alike. Coolum has a unique charm and beauty you will fall in love with! Despite it's fast growing population, Coolum has managed to maintain it's 'coastal town' charm. With it's beautiful surf beaches and bays being it's undisputed main attraction, the area offers a wonderful selection of accommodation, dining, entertainment and shopping options to cater for all tastes and budgets. And the nearby Mount Coolum is an imposing volcanic dome that dominates the landscape of the area. Originally the traditional land of the 'Yinneburra' clan, which was part of the larger Gubbi Gubbi tribe, the name Coolum is derived from the Aboriginal word 'kulum", meaning 'blunt' or 'headless'. This is referring to the shape of Mount Coolum, part of the Aboriginal legend in which Ninderry knocks off Coolum's head, which falls into the ocean to form Mudjimba Island. The first pastoral lease by Europeans was made by Grainger Ward in 1871 to run cattle. In 1881, Mark Blasdall planted the first sugarcane in the area and built a sawmill. Clearing Coolum Creek enabled steamships from Brisbane to enter to load timber and deliver supplies. A mailboat service on the Maroochcy River was established in 1909, and this provided the first regular connection between Coolum and Yandina. By 1925 the first trafficable road to Coolum was completed, allowing vehicle access between Coolum and Yandina for the first time. The tramline from Maroochy River was extended in conjunction with the release of good cane growing land. Cane farming became synonymous with the area, until the relatively recent closure of the Nambour Sugar mill sadly heralded the end of the local industry. Since the 1960s, tourism has become the area's main source of financial stability. 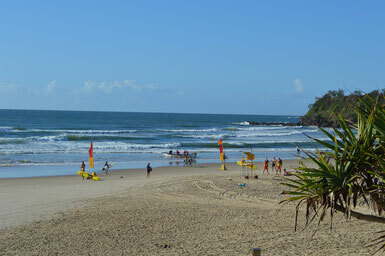 Patrolled year round, Coolum Beach is a popular surfing Mecca. 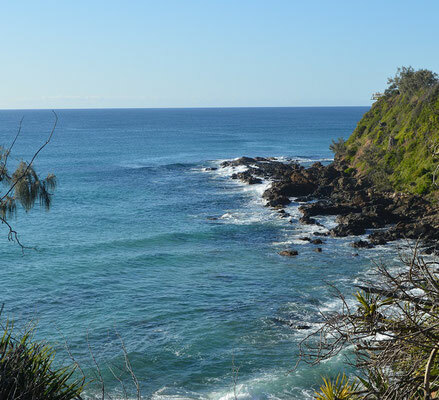 With the Surf Club tucked into the southern end of Coolum Main Beach, Point Perry to the south offers some protection for beach swimmers compared to the open beaches to both the north and south. Learn to Surf lessons are available year round. Tickle Park, which runs adjacent to the beach, provides covered picnic areas and bbqs, a large playground, skate park and a large open grassy area that is home to the Coolum Beach Flicks (free outdoor family movies during school holidays), the Friday Twilight markets leading up to Christmas and the infamous Carols by Candlelight at Christmas. Visit Coolum Business and Tourism website for dates and times. 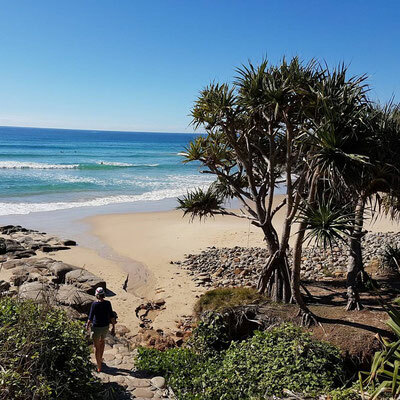 Starting at the Coolum Beach SLSC, this beautiful walk can be enjoyed by all. Starting with the Coolum Boardwalk (which features art work from local artists), following the ocean south to the lookout at Point Perry and continuing all the way to the Point Arkwright lookout, the walk is 2km each way. The shelter at Point Perry lookout and picnic tables at Point Arkwright, allow you to take in the stunning views while you rest or enjoy a picnic. From June to November the lookouts also provide some of the best vantage points for whale watching on the Sunshine Coast. Image from Australia's Nature Coast. First Bay is the most well known and frequented of the three bays found on within the rocky outcrops between Point Perry and Point Arkwright. Second Bay is accessed via the stairs leading down from the hilltop car park on David Low Way between First and Second Bays (or via the beach on very low tides). 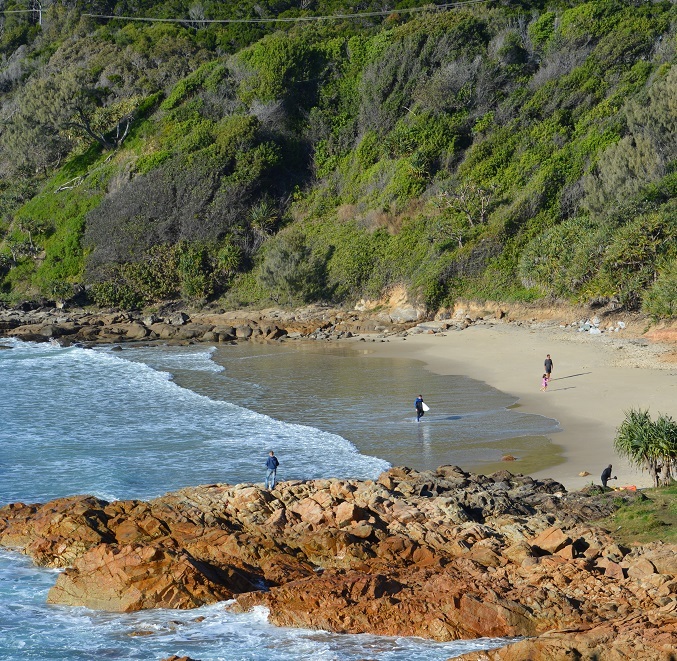 The most secluded and hardest to get to of all, Third Bay is accessed via bush tracks which lead off the walkway heading towards Point Arkwright. With rocky outcrops, pure white sand and natural bushland encompassing the bays, it is easy to forget to suburbia is really only over the hill. Tidal 'fairy pools' complete the magic of these beautiful bays. Anglers are spoilt for choice when it comes to fishing. Rocky headlands, deeply- guttered open beaches and Stumers Creek at the northern end of Coolum Beach, offer a variety of fishing options. A walk up Mount Coolum is must do for anyone with good mobility and a reasonable level of fitness. The path becomes steeper and rockier towards the summit, which is 208m above sea level. While only 1.6km return, the recommended walking time is approx 2hrs. It is best completed early in the morning before the heat in the warmer months. The breathtaking 360˚ views of the coastline and the rolling hinterland are ample reward for your efforts once you reach the top. Approximately half of all the plant species that occur on the Sunshine Coast are represented in Coolum National Park, including many rare and threatened species. The walking track is accessed from the corner of Tanah St West and Jarnahill Drive. Be sure to take drinking water and only attempt the walk in dry weather, as the track can be quite slippery in the wet. Children will need close supervision, as parts of the track have loose gravel surfaces and there are exposed natural-occurring lookouts. The park boasts a wide array of inflatable fun items for everyone’s enjoyment and has quickly become a popular family destination since opening last year. Coolum is home to a lively cafe and eatery scene. From fine dining to take aways, all budgets and tastes are catered for. There are too many great options to list them all, but here are some of our favourites. Restaurants: Harvest, Canteen Kitchen and Bar (pictured below - their image) and Castros Bar and Restaurant are all popular with locals and tourists for good reason. Cafes: The Caf Coolum, Compound Surf and Expresso and Lavish Fine Foods are great cafes for breakfast or lunch, or just an excellent coffee. From the caravan park to fully self contained apartments with spectacular ocean views, Coolum offers an accommodation option that will suit everyone. What are you waiting for? Coolum will delight you!